Massively Speaking Episode 35 returns us to the 'roundtable of bloggers' format we kicked off with. After more than a month of interviews and expansion-related hoopla we're back talking about the news in the MMO industry for the last week. And what a week it's been. Join Shawn Schuster, James Egan, Kyle Horner, and Michael Zenke as they talk about Warhammer updates, microtransaction announcements, the Cryptic/Atari buyout and tons more. Massively Speaking Podcast Episode 35 originally appeared on Massively on Wed, 10 Dec 2008 12:00:00 EST. Please see our terms for use of feeds. About MT's, Personally either way is fine for me but, with MT's I will not have to stop playing TOR at one point to go enjoy another game like I did with TR. So instead of getting 4 months from me on average they all will get year round playing with me and at least more then 4 months of money from me non stop every year. So in the end I will no longer cancel, I'll spend a little less in 4 months but I'll be giving more money to TOR in the long run by far. P.S. I think one of the reasons I might have had a tiny shock from the TOR MT news at 1st was that usually I associated MT+no monthly fee with low quality MMO's but after I thought about it, I figured this is going to change. MT's will be the future. P.SS. one more thing is I think most Europe/North America MMO's have had mostly good quality, and now maybe the entire world is making better MMO's but we all need F2P/MT's/no mnthly fee because there are so many of them and there mostly pretty good and it is the only way to keep us playing and paying imo. at least going towards the future. P.S.S. Great show, great discussion of topics, thumbs up to u all. I have to say that I don't view cash shops as the ultimate evil and prior to this show I didn't know that Knights of the Old Republic would got that way, but I don't believe it's a bad thing IF they don't expect a monthly fee on top of that. 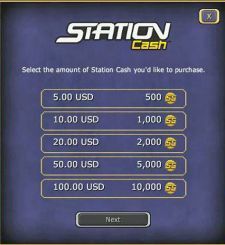 Buy to play with cash shop, that's no issue with me. RMT as an ALTERNATIVE is fine, but to put it on top of an already established payment system just seems like they want to milk us for all we have. I'll remain pissy until they announce a decrease in monthly fees or give the game for free. Thanks Micheal for saying AoC is fundamentally a good game! I play it and enjoy it very much and am really tired of seeing repeated attacks on the game and Funcom. I don't believe they are perfect or the image of what to do when making an MMO (lol...) But they do put out a game with awesome writing and atmosphere.